Black History Month may have officially ended in February, but not for this mobile museum. 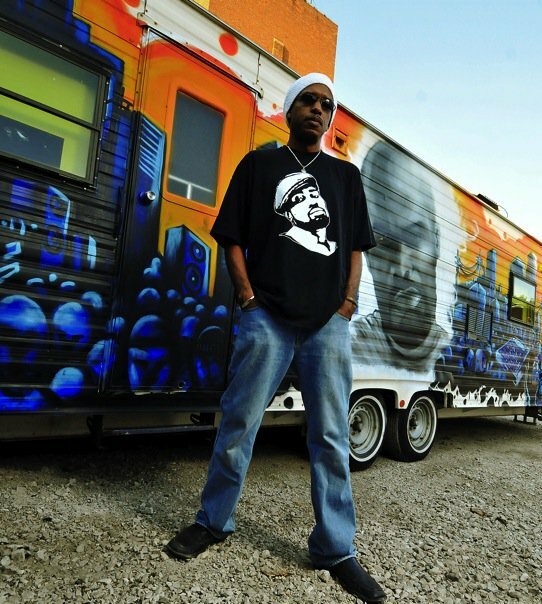 In 1995, Khalid El-Halim launched The Black History 101 Mobile Museum in Detroit. He credits a period of his life where some of the hip hop music he was listening to inspired the creation of the museum in a recent interview with Ebony Magazine. According to its website, The Black History 101 Mobile Museum (BH101MM) is an innovative traveling table top exhibit depicting Black memorabilia spanning slavery to Hip Hop. The mobile museum is a cost effective approach to present historical artifacts to schools systems, communities, colleges and universities throughout the nation. The museum has over 5,000 rare treasures among its collection including original documents from historic Black figures whose contributions helped shape the United States. Artifacts in this unparalleled mobile collection represent items from the categories of slavery, Jim Crow era, music, sports, the Civil Rights and Black Power era, and popular culture. It's received praises from Krs-One, Public Enemy and retired Detroit City Councilwoman, Barbara Rose Collins. "My mission is to raise the consciousness of the human family by sharing artifacts that celebrate the contributions, achievements, and experiences of African Americans", states el-Hakim. "I want people to walk away as inspired as I've been as a collector and student of this history." El-Hakim's mobile museum has traveled to over 26 states, 100+ college campuses and several K-12 schools. And despite being in business over 20 years, the museum shows no plans of slowing down. Just two weeks ago, it was awarded a grant by The Pollination Project, known for "seeding projects that change the world." You can find information on booking the Black History 101 Mobile Museum here.